Discuss the novel's title. What is missing from Martin's life? What is missing in the lives of his clients? Traditionally, a client is someone who asks for services. Why do you think Martin views his victims as clients? What services does he provide? What do Martin's obsessive-compulsive tendencies say about his emotional state? Besides the practical reasons, what are the common emotional threads running throughout his various rules (such as acquiring only items that won't be missed, and never falling into a routine for entering and exiting)? Why is he drawn to a profession that makes him invisible? How did your impressions of Martin shift throughout the novel? In chapter two, Martin meets Alfredo, the Grants' parrot. What makes Alfredo the ideal new friend for Martin? How did you react to the excess possessions of Martin's clients? Did you see it as waste or as enviable abundance when the Reeds disposed of their uneaten fresh produce, or when the Grants accumulated a hutch full of unused china, crystal, and silverware? Would you have gone to the trouble of replacing Cindy Clayton's toothbrush with a clean one? Why does Martin? Chapter five describes Martin's triumphs on eBay (spurred when he invents "Barbara Teal") and his obsession with creating a perfect business model. As a scavenger, does Martin in some ways follow the traditional principles of successful corporations? When Martin sends the note to Alan Clayton at the end of chapter six, he very likely saves a marriage. Why was Alan so blind to one of the most intimate aspects of his own life? Why does Martin feel so compelled to help Justine Ashley keep her husband's party a surprise? What accounts for the level of involvement he feels with so many of his clients? Discuss Martin's relationship with his mother and stepfather, and his reunion with his father. How did his childhood affect his sense of self-worth? How would you respond if one of your grown children took household items from you without permission? When Martin rescues Sophie and Sherman Pearl, he opens the door to a new life. How did the reality of meeting them (after circumstances that resembled Jim's lateral-thinking riddle) compare to his fantasy of them? What is it like for him to experience an honest conversation with Sophie? How would you have reacted to his story if you had been in her shoes? 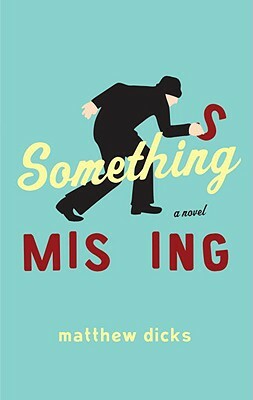 How did you feel about the security of your own home after reading Something Missing? Will you think twice the next time something turns up missing? What do you predict for Martin's future with Laura Green? If you were going to pursue Martin's profession, which houses in your neighborhood would you want to "investigate"? Whose house are you most curious about?